This was one of the most fun knits I’ve had in awhile! I was really happy to be able to use some of my pretty, single skeins of Koigu for this project, along with the loveliest Plum from Sliver Moon Farm that I bought at Rhinebeck years ago. 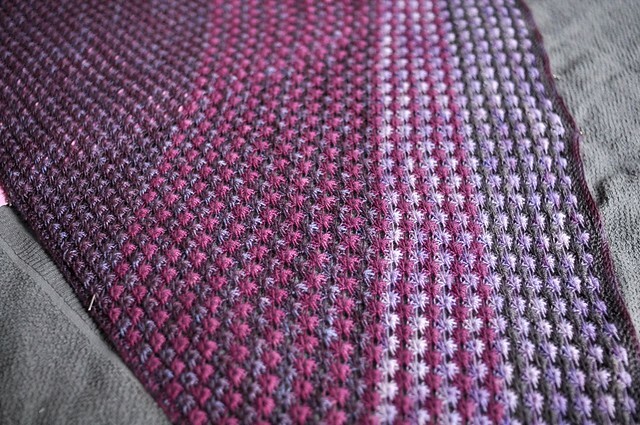 I swatched up this fun stitch in some Cascade 220 originally, for a blanket or something similarly cozy. 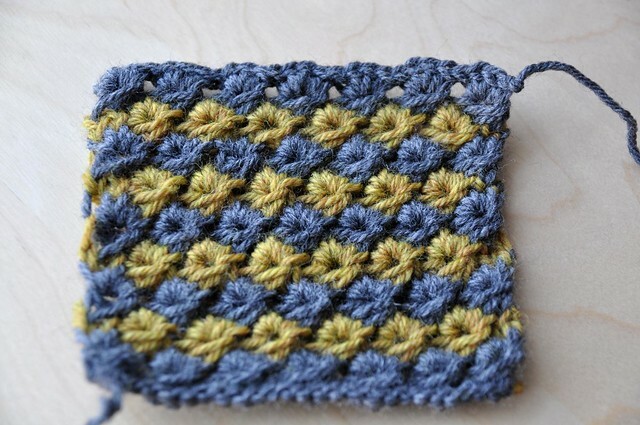 I was thinking about granny squares and how fun they are, especially in stripes, and this knitting stitch is just about as close as you can get! Maybe I’ll try working it in the round next and see what happens? I did try working the shawl from the top down, as is my usual preference – but the extra stitches from increasing in that direction just didn’t quite work out with the pattern. I love that it’s pretty much edge to edge, worked from the bottom up. To avoid a too-narrow, too-long shape, I used double increases at the beginning and end of the RS rows. 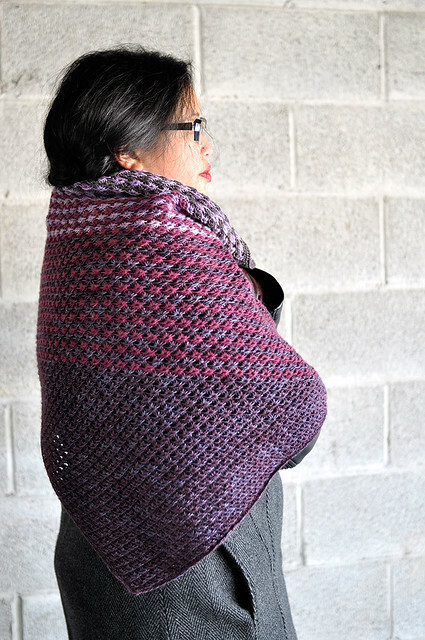 I would LOVE to see this worked up in a gradient or striping yarn like Noro Sock or Freia Fibers. 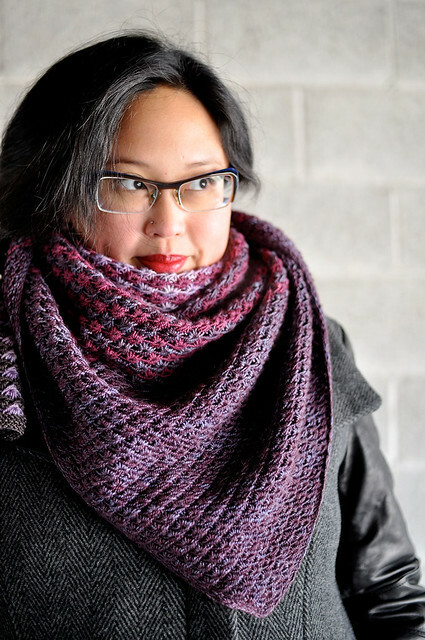 You could even work it up in worsted weight yarn for an extra squishy winter warmer. Since it’s worked from the tip upwards, you can just cast off at pretty much any time it’s big enough for you. 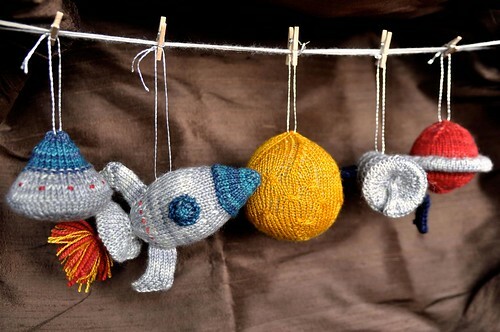 I might even cast on another one…I do have a lot of single skeins and scrappy bits. I hope you like it as much as I do! 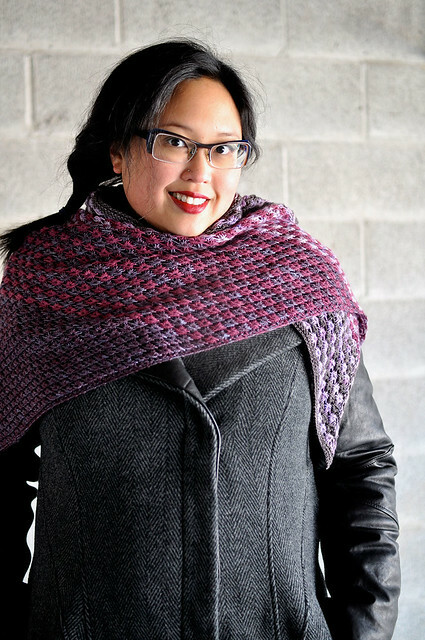 Queue, fave, and purchase on Ravelry! It’s really beautiful, Laura! It also looks deliciously warm to a person sitting in Maine. It turned out so pretty. Is it very difficult to do?